Items from the service of Herbert J. Holdridge, who was born in Burnside, Louisiana on July 16, 2018. Holdridge entered active service with the US Army on August 14, 1941. He departed for the European Theatre in September of 1944 and served overseas as a Chief Artillery Mechanic and Welder with the 44th Infantry Division, 744th Ordinance Light Maintenance for nine months. He participated in the Northern France, Central Europe, and Rhineland campaigns. Holdridge was Honorably Discharged on October 4, 1945. 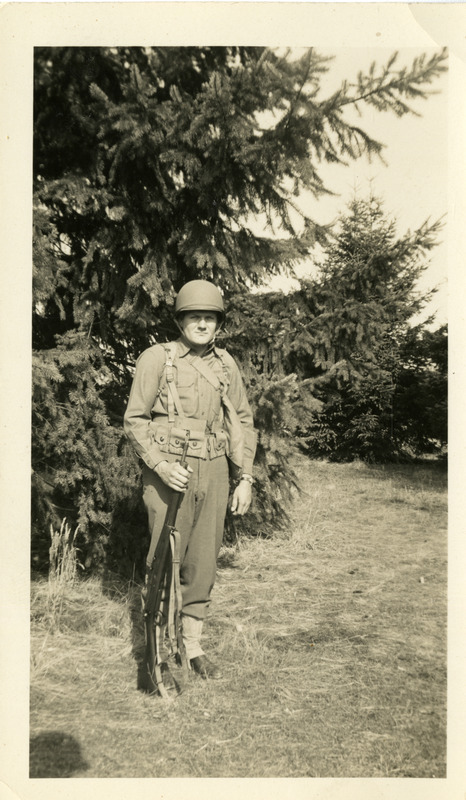 Collection includes uniform components, ribbons and insignia, and about 140 photographs.